My children are ages 5, 6 and 7 and as a home educating mom it is important that I teach them about their role in the world. Two important real world issues facing our children today are bullying and the health of our Earth. Captain McFinn and Friends introduces both of these issues to children in a way that is fun and educational so it is sure to make an impact. With a series of children’s picture books, a musical CD and additional activities, Captain McFinn is exciting and engaging for children ages 4-9. Captain McFinn is a black-tipped reef shark who protects the ocean’s reefs with an adorable crew including my favorite fish, “Three Tooth”, Coral Rose, Inky , Bella and G.E.M. Watch out for the Plunkers who pollute the reef, Tox, a fish bully with a mean streak and brothers Stink and Stank. My children thoroughly enjoyed two of the picture books in the series titled, The Legend of Captain McFinn and Friends and Captain McFinn and Friends Meet Coral Rose. I have two sons and a daughter and all three equally enjoyed these stories created by Phyllis Cafaro and they loved the vibrant, exceptional illustrations. These books are available for purchase in paperback ($9.99), hard cover ($17.99) and Teacher Big Book ($19.99). There is even an activity book available for $5.99. 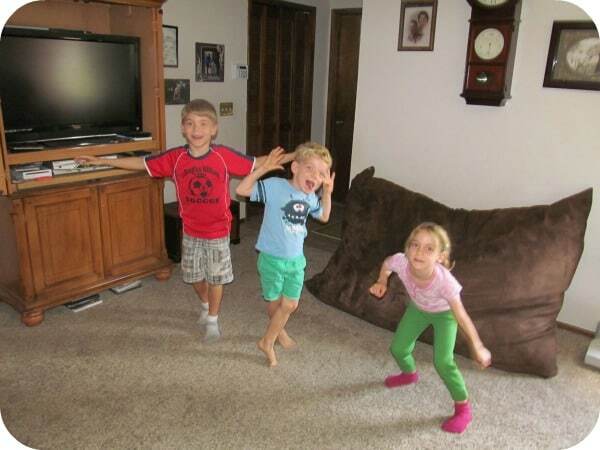 After reading each story and discussing the message, my children were ready to sing and dance to the fun songs in the CD, Captain McFinn and Friends Come Along With the Friend-Ship Band Sing-Along ($9.99). While pretending to swim and dive to the bottom of the sea with their new “friends” my kids had a blast singing and dancing to motivational songs such as “Never Give Up”, “A Friend of Mine” and “Forgiveness”. 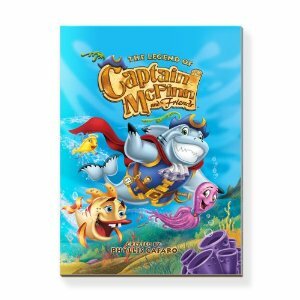 Captain McFinn and Friends delivers a positive message in a fun, inspirational way. If you know a child who has been bullied (or perhaps has bullying tendencies) then this would be a great way to open the discussion. You are invited to visit the Captain McFinn and Friends website to learn more about these fun characters and products with items available for purchase in the online store. Looks like the kids had loads of fun. I homeschool my two children ages three and twelve and it’s very challenging at times with both children, however in the end it’s all worth it!